Oakland International is to open a new chilled distribution facility in Corby, Northamptonshire. The site, which underwent a £1.5 million refurbishment programme, is to generate 100 new jobs. Fast food company DLS (Boldon) has streamlined its distribution operation with a redesign of its cold store facilities. Culina has won contract worth some £130 million with companies including: Pepsico, Mondelez, Emmi, Jack Links (Peperami), Friesland Campina, General Mills, Nestle, and two own label juice manufacturers. Clan International Transport Services is to open a new depot in North Killingholme, North Lincolnshire. Tasco Berhad, Yusen’s Malaysian subsidiary, is to take over two cold chain logistics providers in the country – Gold Cold Transport and MILS Cold Chain Logistics. 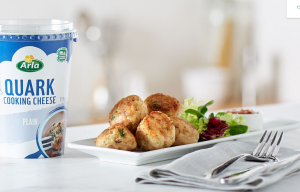 Arla Foods UK, the farmer-owned dairy company, has used the SAP extended warehouse management blueprint and template developed by Rocket Consulting to roll out two new SAP EWM systems. 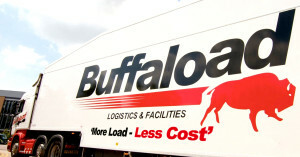 Buffaload Logistics, the Huntingdon-based temperature controlled operator, has bought the on-going business of Davis Haulage which entered a company voluntary arrangement in April last year. DHL Supply Chain Life Sciences has constructed a new GMP compliant, 2-8°C temperature controlled clean room at its secondary packaging facility in Banbury, UK. Parexel International Corporation has launched its Active Tracking service for the biopharmaceutical industry. Hannon Transport has taken on 40 Schmitz Cargobull refrigerated trailers, armed with the manufacturer’s TrailerConnect telematics system.